This expansion kit is compatible with Critical Link’s MitySOM-335x line of Development Kits; one is required to interface with this expansion kit. 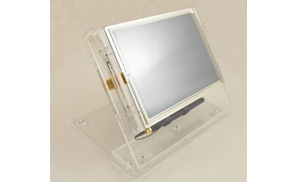 This expansion kit adds a 6.5″ 1024 x 768 pixel XGA LCD display to the development kit. This expansion kit features a NEC NL10276BC13-01 display that includes the necessary controller board to interface with the 34-pin LCD connector on a supported development kit.